Lucy Yang reports from the Bronx on the 14-year-old's death. WAKEFIELD, Bronx (WABC) -- A 14-year-old boy died during football practice at a school in the Bronx Tuesday morning. Grief counselors will now be made available at this school and classes haven't even started yet. This after a promising freshman died today during pre-season football practice. Candles burned outside their home in the Bronx Tuesday night as the family of Dominick Bess is left completely devastated. 14-year-old Dominick Bess was at football practice Tuesday morning. The budding player had just earned a spot on the JV team for Mount Saint Michael Academy. At 9:30 a.m. he suddenly collapsed. "I saw the young man go down, like everyone, anyone else, we're all worried about him," said Kianndrea Smith, a senior. The all boys' Catholic prep school says the players were engaged in non-contact practice on the hot and humid day, running in shorts and T-shirts, no pads on, when Dominick collapsed. Eyewitness News is told a certified athletic trainer immediately performed CPR. 911 was called. The young teen was rushed to the hospital where he was pronounced dead. "They tried to revive him and they got him back to a certain point, they took him to the hospital, but he succumbed," said Bertram Meade, the victim's uncle. 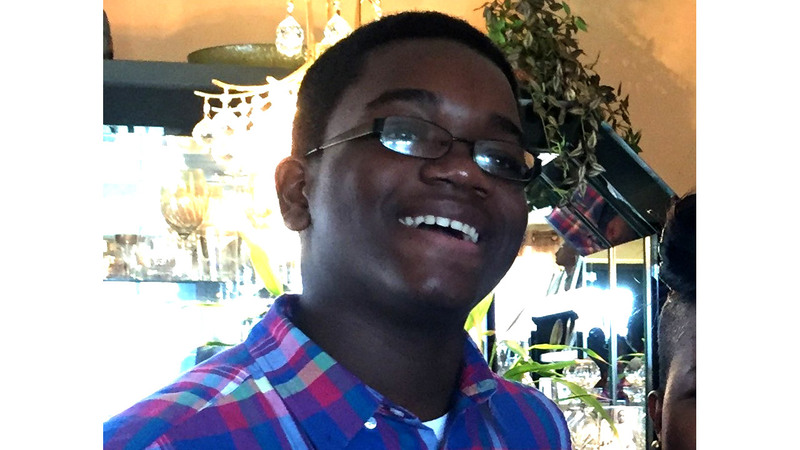 The grieving family tells us Dominick was an honor roll student who earned a partial scholarship to the Mount because of his strong grades, but his passion was in sports. Heartbreakingly, this bright and talented student would never get to enjoy even one day of high school. Fellow football players are devastated to have lost a brother. "I cried. I felt so hurt. You're with God. Better place. Everything we do is for you," a player said. Eyewitness News was told Dominick's mother did not want her young son to play football, but this was his dream, so she let him pursue it. Now the Medical Examiner will have to determine his cause of death. A spokeswoman for Mount Saint Michael Academy issued a statement, saying it is bringing in grief counselors to help students cope with the tragedy. "Our heartfelt thoughts and prayers are with his family and friends, as well as coaches, the team and our student-athletes," the spokeswoman said.